Collaboration with MuARTs Lab and the Taos Integrated School of the Arts (TISA) to apply their research and brain-computer interface to a series of workshops and performances for TISA students and the general public. 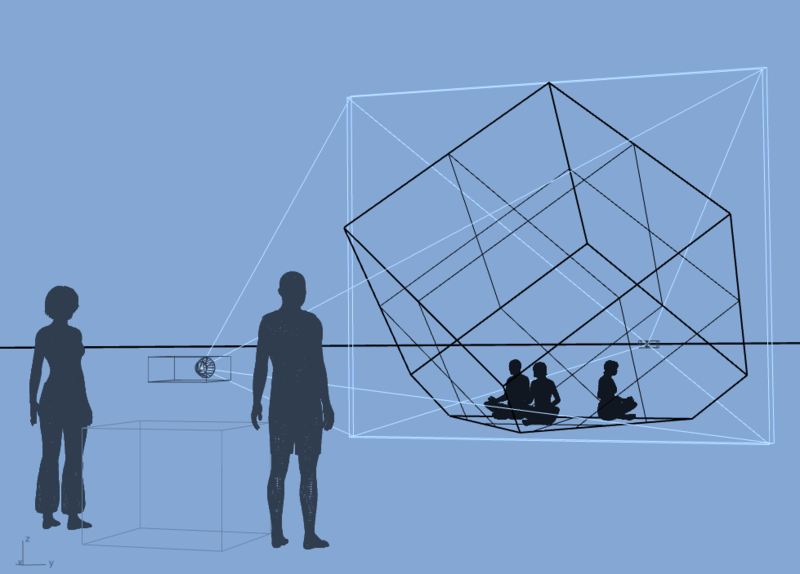 Exploring inner well-being, creativity and tech-mediated mindfulness through neurofeedback technologies combined with immersive installation art. How can neurofeedback and participatory art join to motivate learning and self awareness in youth? How can we use this tool to create new opportunities for intercultural non-semantic exchange? Collaboration with Dr. Steven Goldfarb, ATLAS Experiment at CERN, Dr. Greg Cajete, Santa Clara Pueblo author of Native Science: Laws of Interdependence, Steve Tamayo, Lakota Cultural Specialist and new media artist Agnes Chavez. A series of interdisciplinary youth workshops and public forums that investigate native science, western science and the arts as parallel ways of knowing and understanding our relationship to the universe. Powerful new microscopes, particle accelerators and telescopes are revealing an interdependent relationship with the universe that is challenging the modern worldview. Only through open dialogue and interdisciplinary exchange can we begin to move toward a new worldview; one that combines the advances of the scientific method and technological innovations with native science as a life-sustaining ecology that is participatory and in balance with nature. The Taos Integrated School of the Arts was the host school that launched the corresponding youth workshop that kicked off this new series in April 2017. 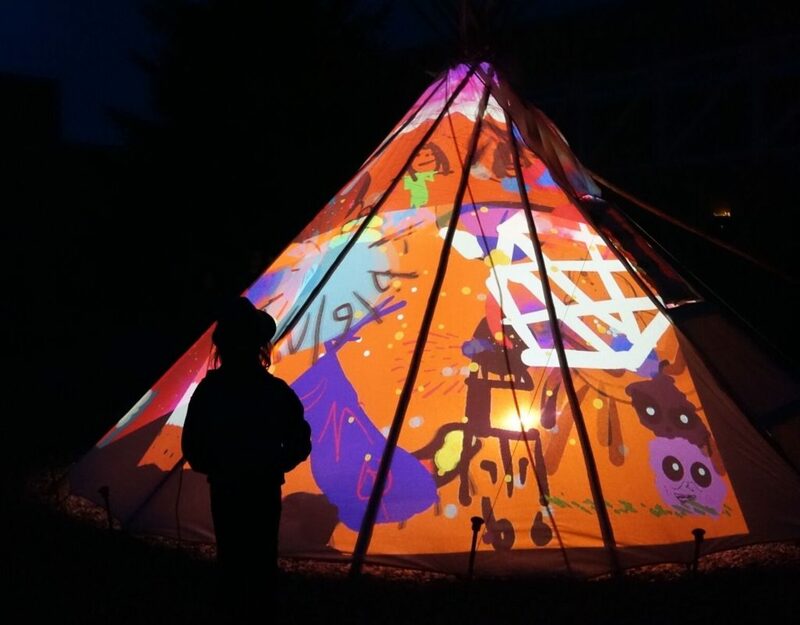 TISA students worked with this team to explore the mystery of Dark Matter through the lens of two worldviews, culminating with the tipi projection pictured above. Learn more about this workshop here. Collaboration with the Taos Integrated School of the Arts in Taos, New Mexico to design and coordinate programming and curriculum integration for an innovative new STEAMLab@TISA. Activities are ‘maker focusedʼ and revolve around project-based design challenges delivered by artists, scientists or interdisciplinary guests in collaboration with classroom teachers. 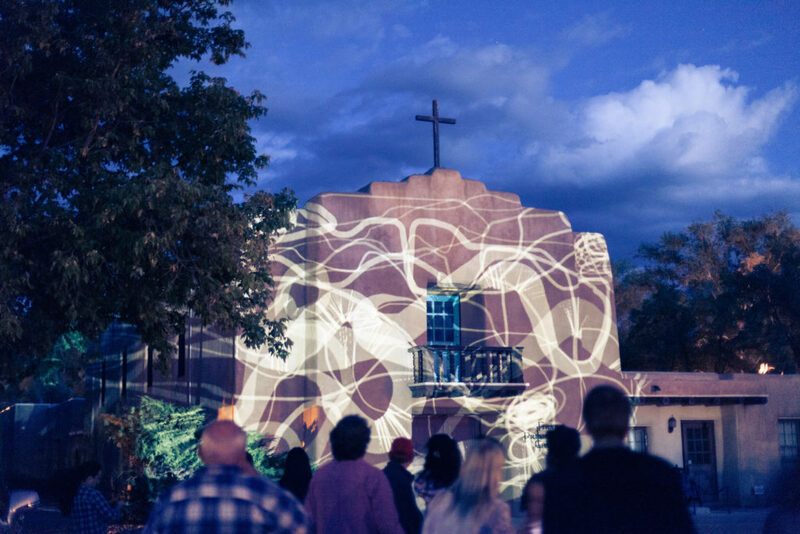 Partnerships with local art groups like ARTAOS and Twirl enhance STEAM integrated activities (Twirl Light Play pictured above). The methodology is based on the STEMarts model developed in 2009. Activities are aligned with Next Generation Science Standards (NGSS) and Partnership for 21st Century Standards (P21) and provide teachers with professional development on 21st century technologies and design thinking. 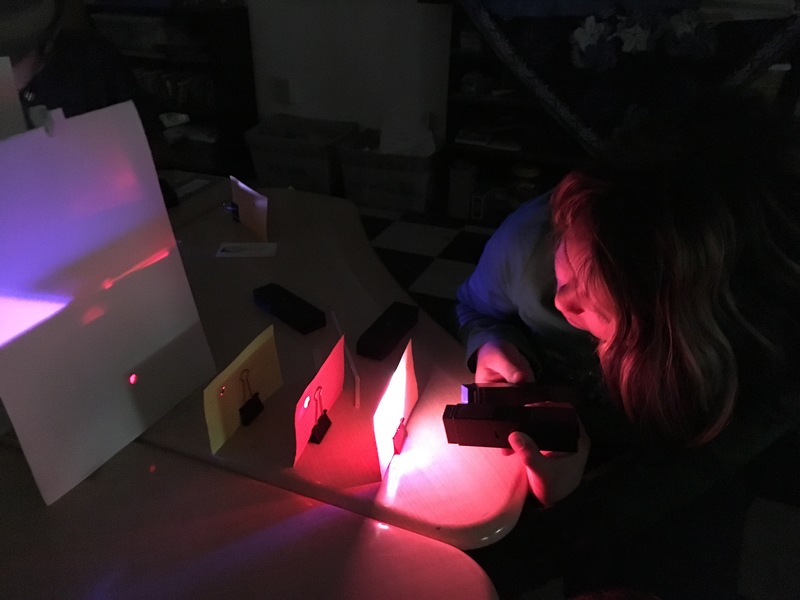 As part of our 2017 programming the TISA STEAM Lab is launching a pilot collaboration with Quarknet@UNM and ATLAS Experiment at CERN to explore introducing advanced concepts in particle physics to elementary grade students. This project was started in 2010 and is still going strong. A series of youth workshops and events in collaboration with CERN physicists, Dr. Steven Goldfarb, ATLAS Experiment and Dr. Luis Flores Castillo, with Markus Dorninger, founder of Tagtool. Students travel virtually to the ATLAS control center or experience face-to-face visits with physicists to learn first hand about particle physics. Through the unique Tagtool app and techniques developed by Markus Dorninger students explore projection art and create cutting edge interactive installations to discover how radical new theories in particle physics can expand their understanding of the universe and the world around them. Learn more about the Projecting Particles.